Welcome to Kitchen Parade's Recipe Box! 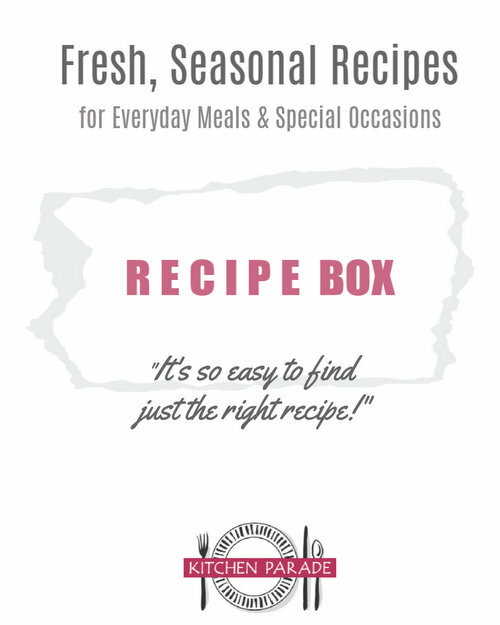 It's the easy way to find healthy, seasonal recipes for every-day meals and special occasions. I hope you'll find many recipes that will become your own family's favorites, just as they are mine. SEASONAL RECIPES My cooking is guided by the seasons, using the tastes and flavors unique to the rise and the fall of the temperature, the length of the days, the richness of the earth's bounty. 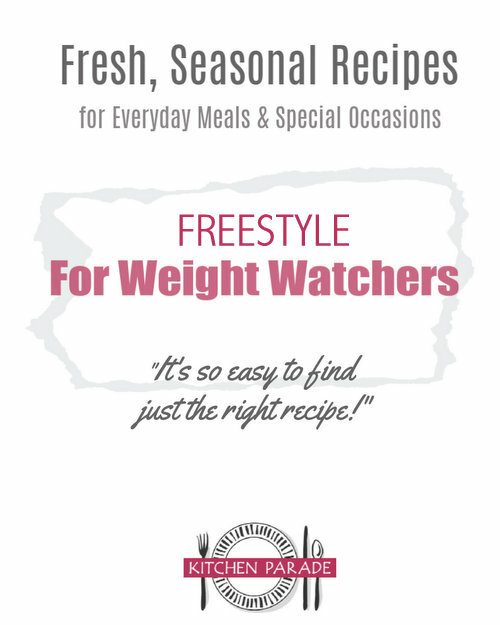 HEALTHY RECIPES There's a special page for Weight Watcher recipes and separate pages for those looking for Low-Carb Recipes and Low-Calorie Recipes. For those who eat less meat (either every day or every so often or regularly for Meatless Mondays), check out the many Vegetarian & Vegan Recipes. Many Kitchen Parade recipes also comply with the real-food Whole 30 and paleo eating regimes. SUPER-ORGANIZED RECIPES! I build these Recipe Box lists by hand (definitely a labor of love) so that for you, it's easy to find just the right recipe, fast and focused, without forcing you to wade through page after slow-loading page. I cook for my family from these very pages, sometimes browsing for ideas but mostly looking for something to do with that chicken thawing on the counter for dinner tonight ... or how to use up some cauliflower ... and so on. NEW VISITORS You might want to first explore Kitchen Parade's favorite ingredients for inspiration. If you like what you see, be sure to sign up for a free e-mail subscription, new recipes will come straight to your InBox. For new recipes and more, follow Kitchen Parade on Facebook and Pinterest too. EAT MORE VEGETABLES?! Consider an e-mail subscription for A Veggie Venture, my food blog about vegetables, recipe inspiration from Asparagus to Zucchini. Favorite recipes from A Veggie Venture are highlighted throughout the Recipe Box here at Kitchen Parade. WHAT'S FOR DINNER? BREAKFAST? DESSERT?! Year-Round All Ingredients "Shop your pantry" with a comprehensive list of Kitchen Parade's most-used ingredients. DON'T MISS EACH YEAR'S VERY BEST RECIPES! Your site is so user-friendly. Thank you for its organization of recipes, helping tips and welcoming feel. I just found your site and I love it! I really enjoy the stories that go with the recipes and your instructions are written like there is a caring, patient mom standing in the kitchen with you giving guidance. And the food is so delicious! I made your mom's pancakes this morning and my whole family loved them. They were so good! 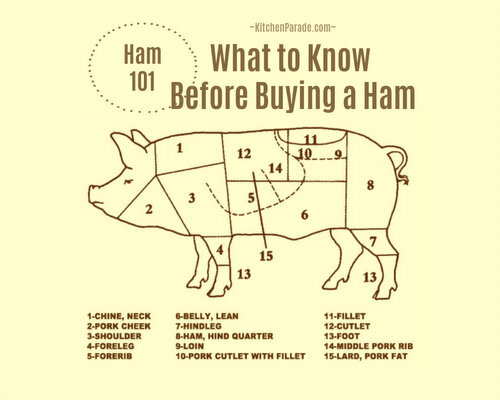 Thank you for making this site and sharing your recipes. Can't wait to try more! Judy & Anonymous ~ Thanks so much for your kind, kind words. They mean the world! do you have any diabetic recipes? Hi Anonymous ~ I don't have 'diabetic' recipes per se but nearly all my recipes are high in protein, low in fat, low in sugar, high in fiber, etc. And because every recipe has nutrition information, it's easy to select the recipes that best fit an individual diet regimen. Still, a good place to start for diabetics is the collection of Low-Carb Recipes. Hope this helps! Sandra ~ Thank you, thank you, your kind words mean the world. And yes, the Beef Mushroom & Barley Soup is a total keeper! We’re having leftovers tonight! I so appreciate your taking the time to write.